Description: Friday Fun is for toddlers to preschool. It’s a volunteer-led group so please come along, help set up and chat to other parents/carers. Babies are welcome too, just ask for some of the baby toys/equipment. Description: The date has been set for this year’s Tarland Food & Music Festival! We have lots of local produce, new acts, workshops & much more planned. Save the date and watch this space!! Description: Inverurie Beer Festival 2018 @ Thainstone. Inverurie Beer Festival is back due to popular demand for our 4th year at Thainstone! What: Great range of beers, ciders, gins, rum, prosecco, live music and street food – vendors to be confirmed. Description: Batten down the hatches for this years Dandara 5k Challenge! Have you and your shipmates registered your space to join us for the eagerly anticipated Dandara 5k and family fun day on Saturday, September 29 here at Hazlehead Park! With a Pirate theme this year for both adult and children’s races, runners can now register for the swashbuckling athletic event, with spaces available in the 5k, 2k and 1k children’s races, and the 600m fun run. There will even be some special prizes for the best dressed on the day! Description: Preloved kids goods sale – toys, clothes, nursery equipment, games, sports, arts and crafts and lots more! Whether you’re new to it all or riding well already, this is the session for you! Description: Fraserburgh Hospital 50th Anniversary Open Day Open Day – Saturday 29th September 11am – 3pm. All Welcome! Description: Save the Date..calling all Witches, Wizards, Squibs and Muggles. You are invited to an afternoon of Harry Potter fun, watching the movie the Philosopher’s Stone. Have your photo taken with some owls from the owlery( aka Bob’s Buddies) glitter tattoos, chocolate tombola incase of dementor attack and more! Muggle snacks and drinks will be available from the trolley. Dress code- Muggle attire or robes and wands. This is to raise funds for Ellon Meadows under ’15s Muggle football team to attend a tournament in Barcelona. Ticket price is £6.50, once all details confirmed re ticket sales etc, formal event page will be posted. Description: Stay & Play Session for children with Additional Support needs & their families. We will have Bouncy Castle & some soft play equipment in big hall. Cost: Donation to Me Too! Description: Room on the Broom is back! Come along on the 29th and 30th of September and help the animals find the witches lost objects. Are you a bird, dog, cat or frog? Make a mask of your favourite character! Storytelling throughout the day – can you help Leith Hall’s resident witch cast a spell? Tickets are £3 per child, accompanying adults go free. Morning session 10am till 1pm. Afternoon session 2pm till 4pm. Please leave 90 minutes to complete all the activities. Description: This event is a cultural expression of traditional food from south-east Asian countries. Expect a huge array of tasty, delicious and exotic food; Feast over 30 different stalls. Description: Get your tickets today! Every seat number will be entered into a raffle to win 2 FREE TICKETS to ‘Affa Fine Cheese and Wine Aberdeen’ – a prize worth £50! Following the success of the pilot event hosted at Aberdeen Arts Centre last year, We are Aberdeen 2018‚ is going to be a vibrant and exciting showcase of some of Aberdeen’s best up and coming talent across a wide range of art forms. All proceeds from the event will go to the STV Appeal to support local vulnerable children and young people throughout Scotland. The community spirit and generous atmosphere shared amongst the audience and the performers is something special that’s not to be missed! Join us on Saturday 29th September at 7pm for an evening of incredible local talent. Tickets are just £10 standard/£7 concession. Description: Aberdeen Lynx take on the Dundee Comets in the East Conference of the Stuart Robertson Cup. Description: Our Changing Planet is Aberdeen Science Centre’s upcoming public theme! Climate change affects us all, with human activity causing the Earth to get warmer in the last 100 years. Our Earth is not feeling well, so come and help us at Aberdeen Science Centre to see how to make our Earth feel better. Discover through hands-on, interactive shows and workshops why climate change matters and the effects climate change can have on us in years to come. Come and chat to some climate change experts from different local organisations to find out more! Description: Join the celebrations of another harvest at Pitmedden Garden! Our famous apples and pears will be on sale along with other local produce and various craft producers. Free entry to sales tents 11:00 – 16:30. Within the usual entry price, we will have live music and entertainment from 11:30 – 16:00. Rangers will be hosting mini-walks in the Walled Garden for children and there will be giant lawn games, vintage tractors and other entertainment. There will be a special event car parking charge of £3 regardless of membership status. NTS admission prices apply for entry into the Walled Garden and Tearoom. Free entry to sales tents only. Description: Have you been looking for the perfect ocassion to wear your favourite shell suit? Well look no further because we have the event for you! The Palm Court are hosting a very unique fundraiser – a non-stop 80’s workout! It only costs £8 for an hour’s workout lead by Emma, one of Aberdeen’s Clubbercise instructors! Though normally Emma leads workouts to 90’s club classics, this time we will all be working up a sweat to all your favourite 80’s tunes chosen by shmuFM’s resident King of the Eighties, David Ironside! Whether you just want to support us with a ticket, or get sponsored to take part – come along and have some fun while helping to raise funds for our Paving the Way to Woodside campaign! We still need vital funds to ensure we can provide new studios, equipment, furniture and supplies to our volunteers and programme participants – and by attending one of our events, you can help us reach our target! We hope to see you there! Click on the link to get your ticket, or to create your own BT MyDonate sponsorship page! Description: Ellon Primary School Parent Council invite you to join us for a Super-Cali-Fragilistic-Expiali-Docious fun filled afternoon. The afternoon will have a Mary Poppins theme in anticipation of the release of the new film coming out later this year. Roasts and Basket Suppers Served. Description: Monday Group is for crawling babies and older. It’s a volunteer-led group and everyone helps out. The more hands the lighter the work! 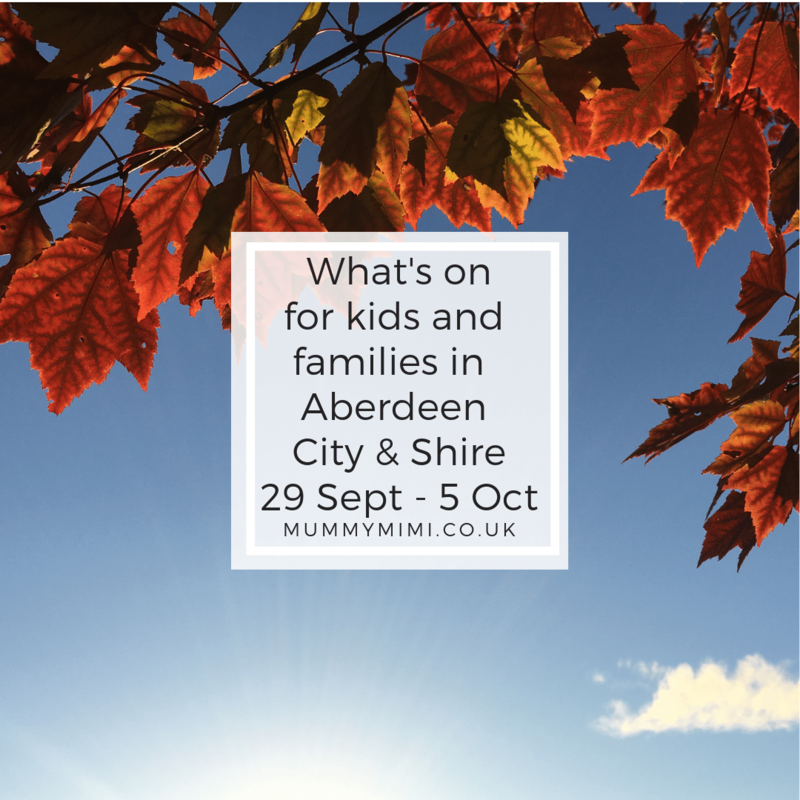 It’s an informal setting for parents/carers to relax in whilst little ones play with a different array of toys/equipment or take part in craft activities. The session is held by Groats Road and not within Hazlehead Park. We will meet near a small car park near the site of the former caravan park. This is near the entrance to Harlaw Academy Playing Fields, accessed from Groats Road. Description: Let’s build together with themed creative sessions this Autumn & Winter. £3 per session and it’s a drop in group so no need to book in advance. Description: Let’s build together with themed creative sessions this Autumn and Winter. Age 8-11 years. Booking essential. 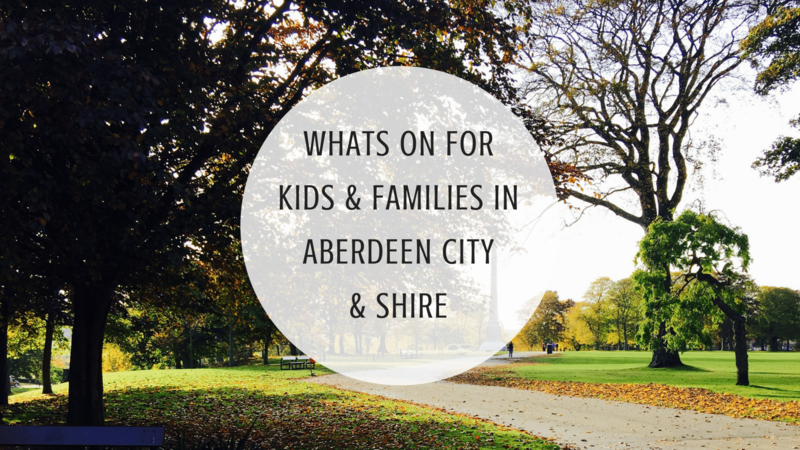 To book a place, call 01224 652507 or email LibraryEvents@aberdeencity.gov.uk. Description: Suitable for all children and abilities between the ages of 18 months old to 5 years old. Description: A great way to relax and meet new friends while learning and having fun with your baby at the same time. £5.50 per child /£3.50 per sibling/friend when booked with a full paying child, per session. Only £30/£50 when booking all 6 sessions. Description: Come along and sing your hearts out to this popular film – BYOB, raffle and party games.